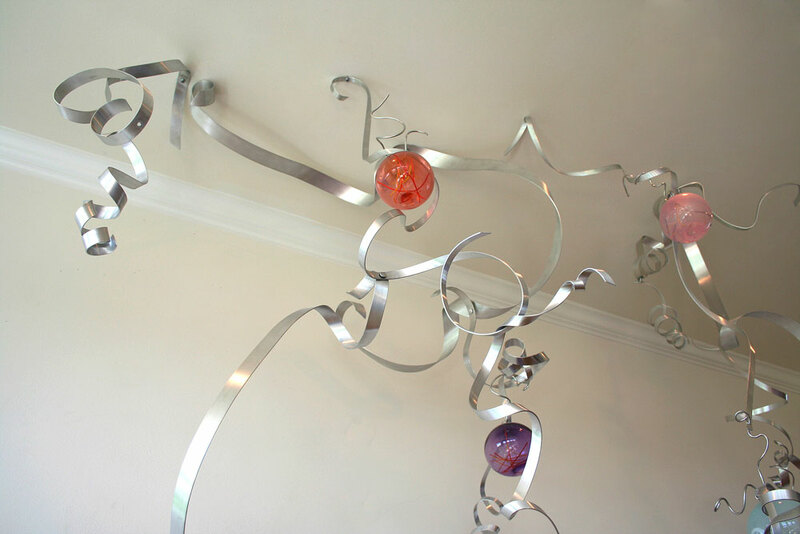 This is a private residential installation in a country home in southeastern Iowa. 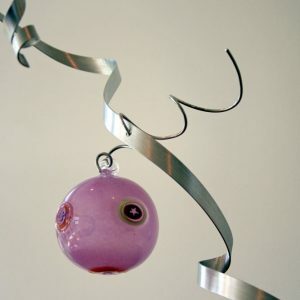 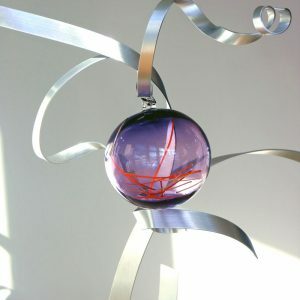 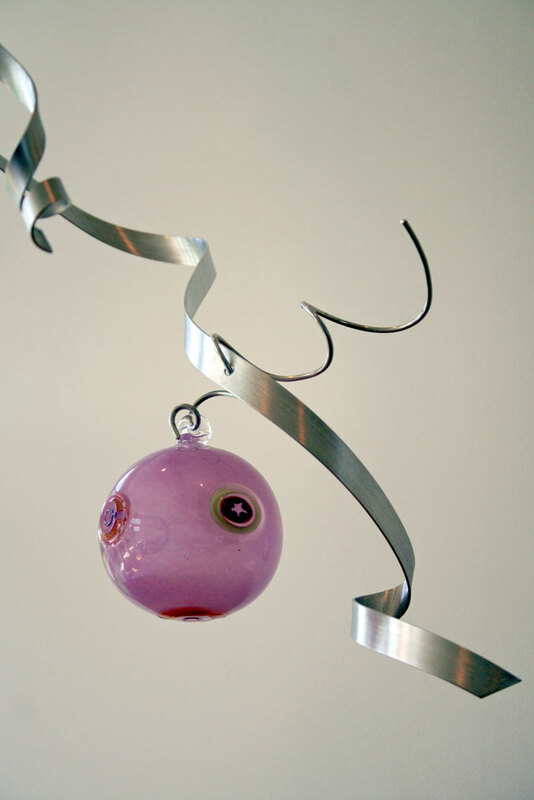 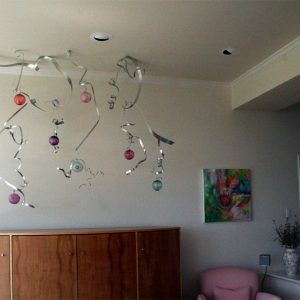 The clients wanted an art work or works that would showcase a group of custom hand-blown glass globes by Garcia Art Glass in San Antonio, Texas. 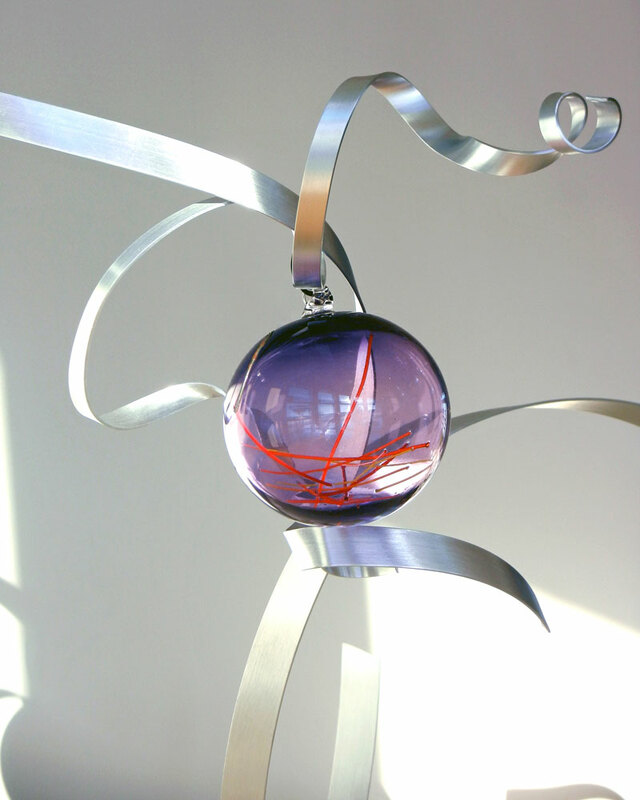 Artist and clients worked closely to identify specific locations within the home for a series of artworks. 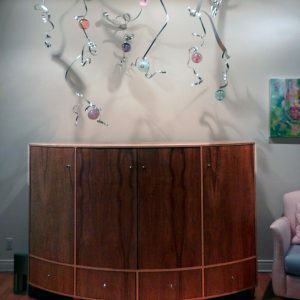 The clients enjoy whimsical objects and soft colors in their environment. 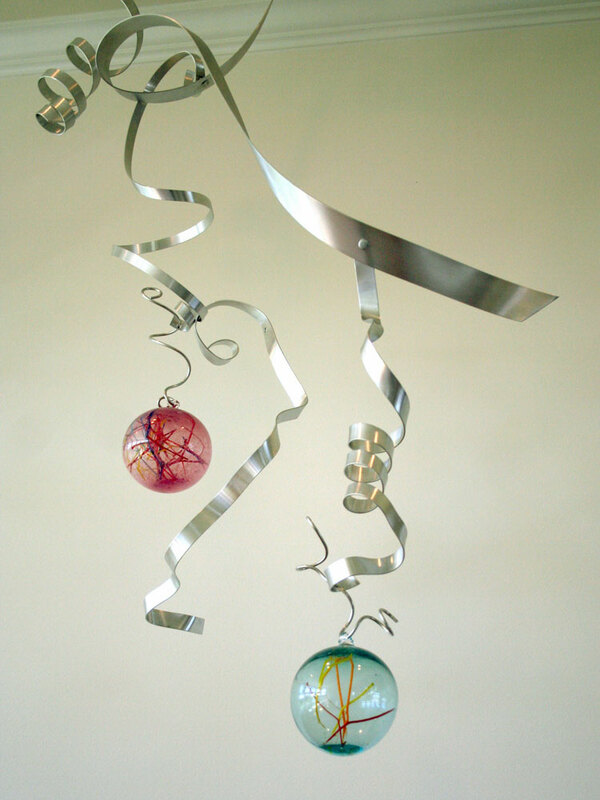 The artist worked with standard industrial aluminum to create ribbon-like shapes that selectively incorporate the globes into the artworks. 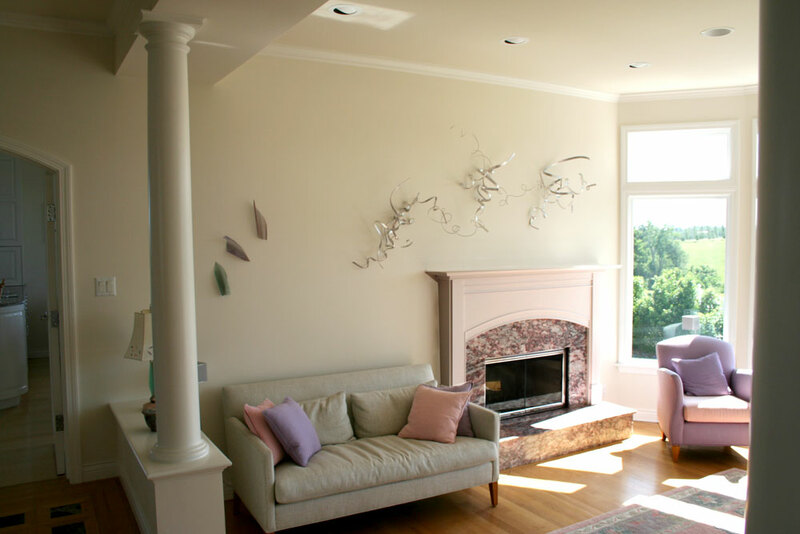 The living room features works on two opposite walls. 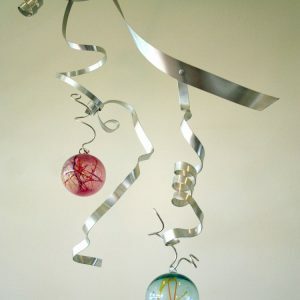 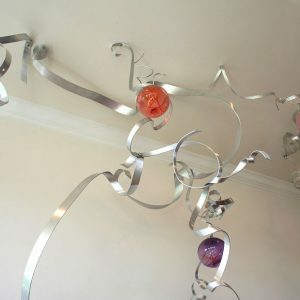 For the installation on the north wall, the artist created dangling ribbons of twisted flat aluminum and tendrils of wire that encircle a selection of globes. 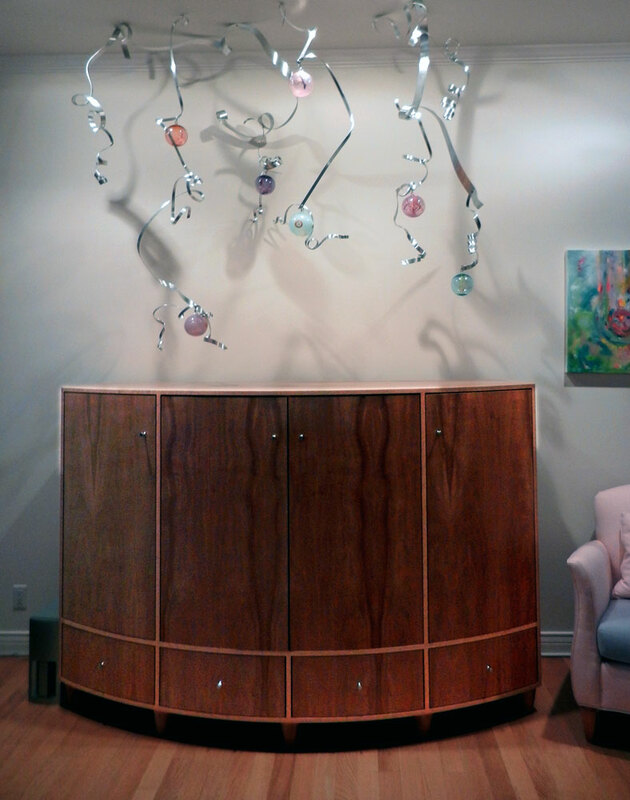 The work suspends above a custom made cabinet by woodworker Paul Poole. 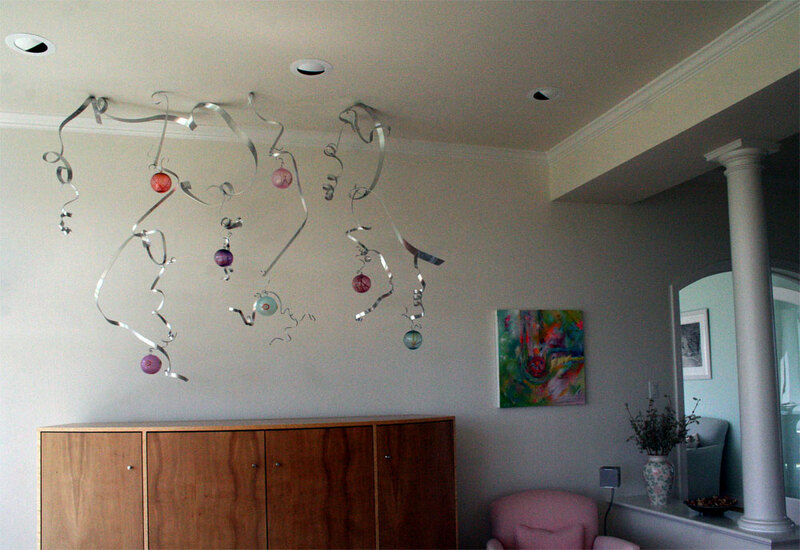 The painting to the right of the installation is by Joannie McGinnis. 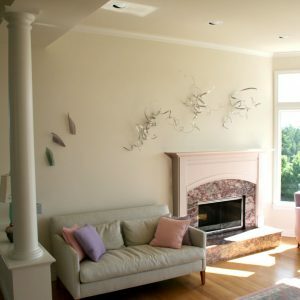 The opposite wall features an off center fireplace. 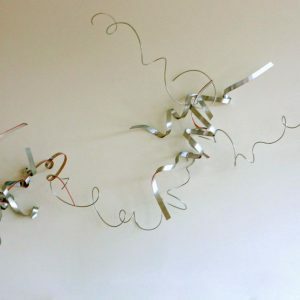 The artist created three works constructed from the flat aluminum wire, twisted and gathered in lively bundles for the area above the fireplace. 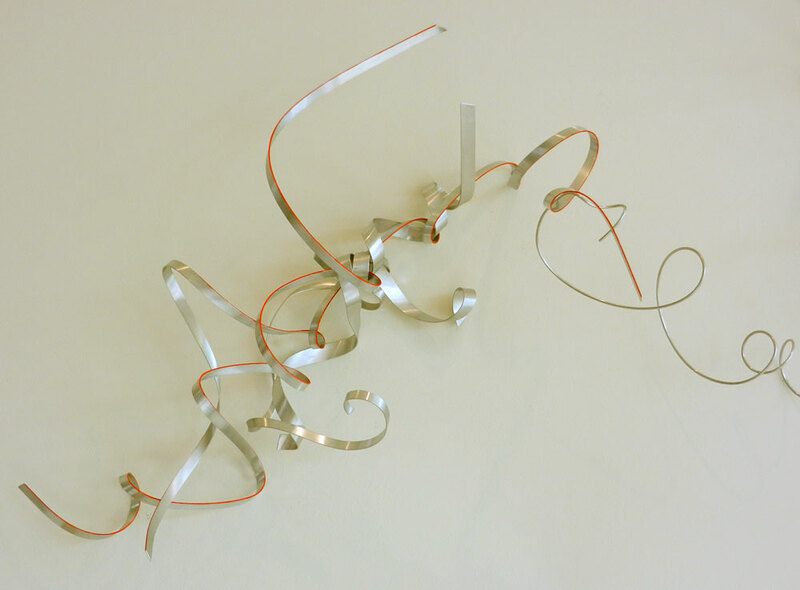 Three subtle leaf abstractions constructed from wire mesh create a counterpoint to the aluminum bundles. 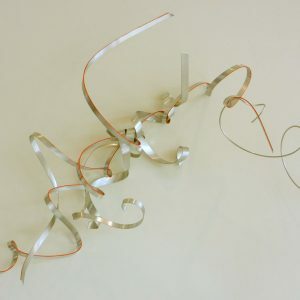 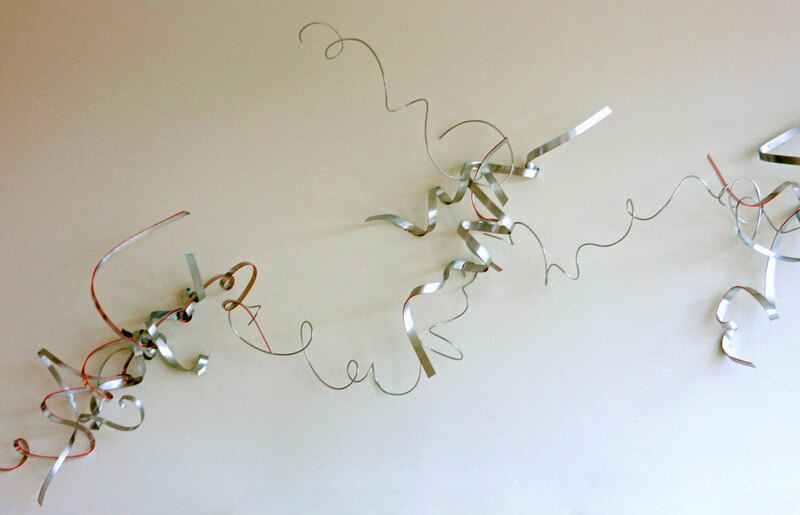 For photos of the third component of this installation, see Metal Ribbons II.